Swim Drink Fish Canada report suggests that while more and more people are flocking to Toronto's inner harbour for recreational use, there's also evidence that more raw sewage is ending up there, too. A report to be released Wednesday by a group that monitors water quality suggests that while more and more people are using Toronto's inner harbour, raw sewage flowing into it has made the water unsafe. For the past three years, environmental group Swim Drink Fish Canada, which operates the Lake Ontario Waterkeeper program, has issued a report on the quality of Lake Ontario's water. The group tested water quality at nine different sites in Toronto's harbour dozens of times from May to September. 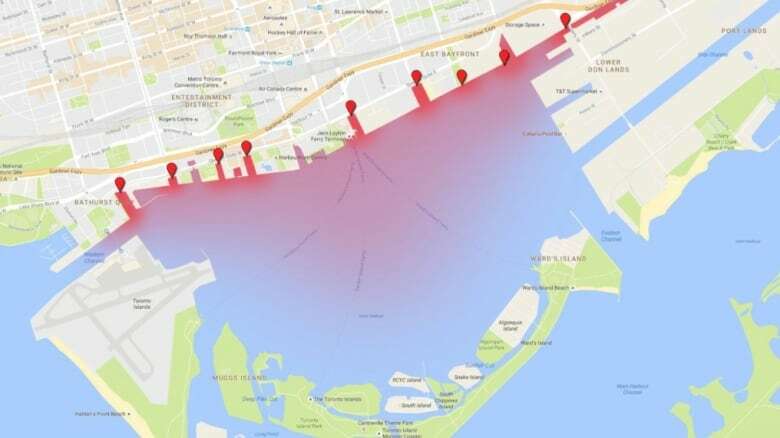 While there were high numbers of people on the water close to sources of sewage contamination, Toronto Public Health doesn't monitor water quality in the inner harbour. The city only tests for E. coli bacteria at the the supervised beaches and the inner harbour is not recommended for swimming. "I would not go swimming here," said Elise Mackie, a Toronto community monitoring coordinator at Swim Drink Fish. One consistent hotspot for high E. coli counts is Bathurst Quay near the old Canada Malting Company silos. It's where one of nine historic combined sewer overflow pipes spews into the harbour. 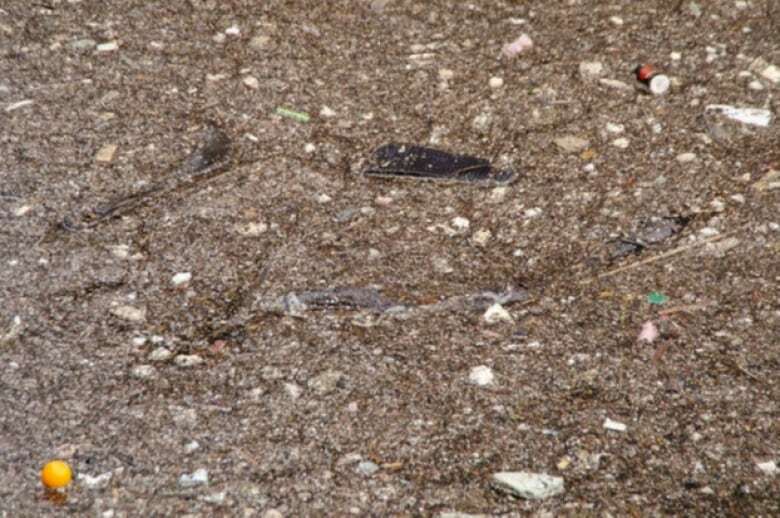 After a rainfall, the water looks like a toilet bowl — with condoms, tampons and even syringes a common sight. Mackie said the city uses old infrastructure that combines wastewater from homes and businesses with stormwater. She added that it's not just a problem during heavy rains but during dry periods as well. The nine sites monitored near where the pipes empty in the harbour consistently failed recreational water quality standards and exceeded the recreational level for E. coli followed by the city. Bathurst Quay failed that standard on every test, while the eight other sites sampled passed an average of 66 per cent of the time. On July 7th and Aug. 9th that site recorded particularly high levels — about 241 times higher than what the city considers acceptable and 24 times higher than Canada's recreational water quality guidelines for boaters. While the water seems to be getting worse, the group observed an increase in the number of people engaged in activities, such as sailing, kayaking and paddleboarding, where there is a reasonable expectation that a person could end up in the water. 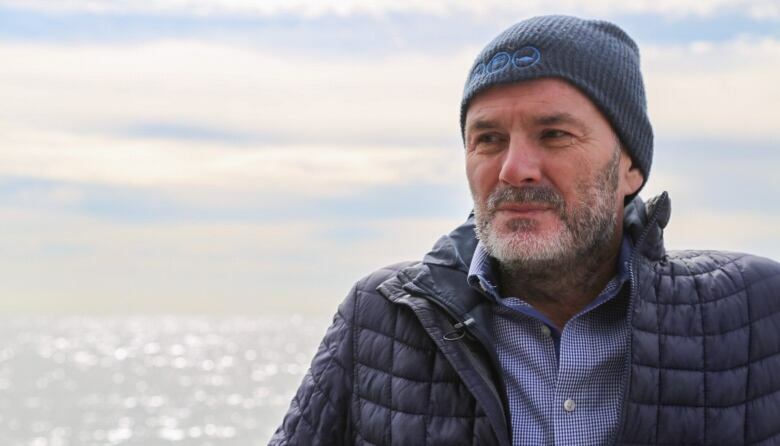 "There's a real love for this harbour, and there's a real problem with the water quality," said Mark Mattson, president of Swim Drink Fish Canada. 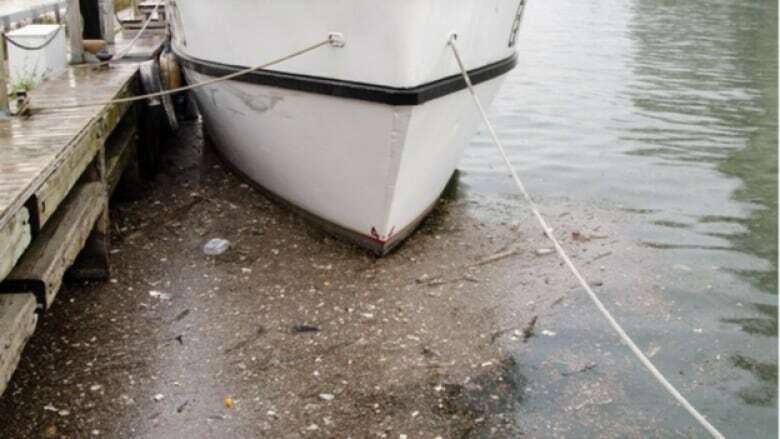 He said along with E. coli levels well over what is safe for recreational water use, the team also documented "floatables" — dead rats, condoms and needles — they observed in the harbour water. "This is raw sewage. This is coming from toilets in downtown Toronto," he said. Mattson says there's a real public safety issue and while Swim Drink Fish tries to connect people to the water, they want to publicize their findings so people, especially parents of young children, know whether the water's safe to use. And while the city does take daily water samples and tests for E. coli bacteria at supervised beaches across the city to ensure safe levels for swimming, it doesn't test the inner harbour since it is not recommended for swimming. Mattson would like to see the city not only test and notify the public but make changes to make the water safer, particularly since the source of the contamination is not a secret. "We hope this report serves as a defining moment," he said. "We have to start controlling that sewage and making sure it's treated and not discharged into the harbour." The city says there is a plan to build an inner harbour tunnel to capture the mixture of sewage and rainwater from the combined sewer overflow and store it when the system is overloaded by heavy rainstorms. 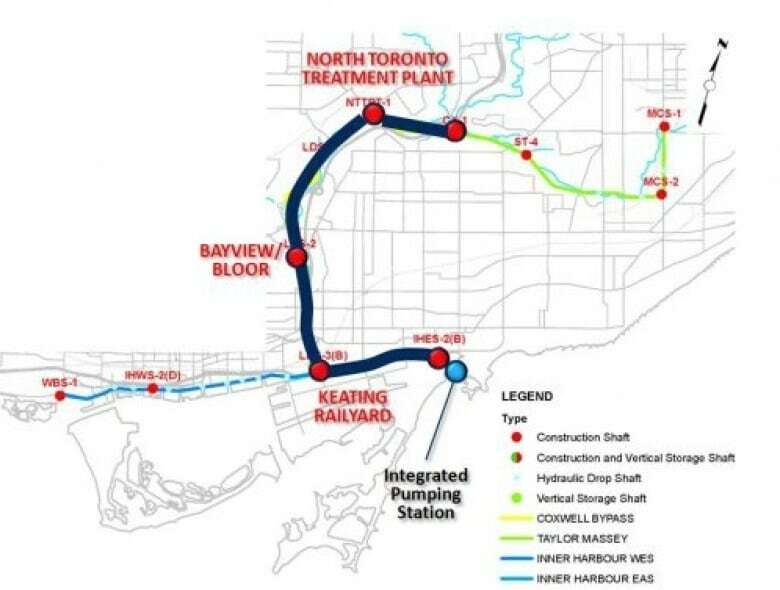 It would then be transported for treatment at a new integrated pumping station building built at Ashbridges Bay Wastewater Treatment Plant. The city says the 25-year, $2-billion program will significantly improve the inner harbour's water quality. In the meantime, Mattson would like to see monitoring and public advisories about in the harbour water quality, clearly visible signs warning the public about where sewage is being discharged along the waterfront and quick and effective sewage cleanup plans. "They have to change the mentality that the Toronto harbour is really just a sewer shed," he said. "It's not any longer. It is clearly a place where people are going and using it for recreational use."